Donald Trump’s threatened closure of the U.S.-Mexico border, even for a short time, would have a massive economic impact. Former CIA agent and NSA whistle-blower Edward Snowden has a message for Canada. Doctors for Protection from Guns want to make sure their voices are heard in the Canadian debate over revamping firearms legislation. Yesterday afternoon, Donald Trump was “100 per cent” ready to shut all, or part, of the U.S. border with Mexico to gain leverage in his ongoing fight with Congress over immigration and his dream of a wall. A few hours later, during an evening speech at the National Republican Congressional Committee’s annual spring dinner, he suggested that his threats are working so well that he won’t be able to carry through with the plan. It seems unlikely that Trump will actually follow through and seal the frontier with Mexico, if only because no one else thinks it’s a good idea. Mitch McConnell, the leader of the Republican majority in the Senate, has warned of the “potentially catastrophic economic impact” of such a move. And Trump’s senior aides at the White House are reportedly bombarding the president with statistics, charts, and economic papers that illustrate that even a one-day closure would hurt the United States far more than Mexico. 3,145 kilometres — the length of the U.S./Mexico frontier. 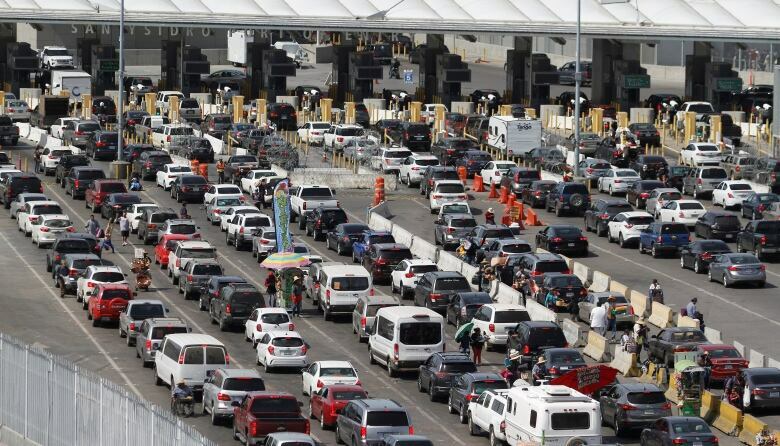 500,000 — the number of people who legally cross the border each day in Texas alone. 3rd — Mexico’s rank among U.S. trading partners, behind Canada and China. $612 billion — the total value of cross-border trade in 2018. $3 billion — the value of American corn exports to Mexico. 58 — the number of electoral college votes in the corn belt. 5 of 6 — how many of those states Trump carried in his narrow 2016 win. 37 — percentage of American-made auto parts that are shipped to Mexico for further work and assembly. $29 billion — value of U.S. auto parts exports to Mexico in 2017. $53 billion — value of U.S. auto sector imports that same year. The National co-host Adrienne Arsenault interviews whistle-blower Edward Snowden, and he has a message for Canada. This was an interesting morning. It started with an early and slightly complicated-to-arrange conversation with former CIA agent and NSA whistle-blower Edward Snowden. He has asylum in Russia and he pops up with some frequency to talk with universities, but he doesn’t do a lot of interviews. This one he wanted to do because he has something to say to Canadians, particularly the Canadian government. Effectively, he told me via videolink that he thinks Canada is somehow fearful of irritating the Americans, and that it could have a serious cost. This is personal for Snowden. As CBC-SRC reported last week, two of the refugees in Hong Kong who sheltered him when he was on the run from American authorities in 2013 have now been accepted by Canada; Quebec in particular. But this means a family is split. 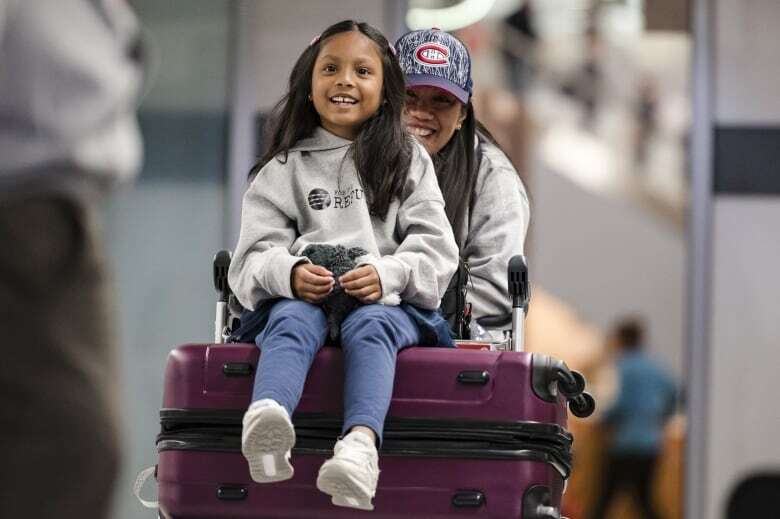 Five others remain — a father and half-siblings among them for young Keana Rodel, who is now in Montreal with her mom Vanessa. They’ve been here a week, and are still sleepy and bewildered and marvelling at the novelties of snow and wide streets and old stone buildings. They would not have sheltered Snowden had they not been asked to help this young man out by their Canadian lawyer, Robert Tibbo. The domino effect has meant that all seven of the “Snowden angels” became hunted. Even Tibbo has been forced to flee Hong Kong, living in an undisclosed location in Europe. Those who help Snowden, it seems, end up paying. And that’s why he suspects Canada has not immediately opened the doors to the five left behind. This is not to say Snowden is unappreciative of what Canada has done so far. He suggests there really is no other place on earth that could or would do this. But all those who helped him are not safe yet, and really, neither is he. Snowden does venture out in public, and says he goes largely unrecognized in grocery stores and the metro in Russia, but he never fails to be recognized in places like computer stores. Within moments of walking in, he says, they always spot him. It’s not always easy to get a measure of someone when you are looking at them through a webcam, but he seems determined, at times funny, vigilant always, and clearly well read. In fact, he brought up the recent spasms in Ottawa, and Jody Wilson Raybould’s recording of a phone conversation between herself and Privy Council Clerk Michael Wernick. “I actually think it is a bit surprising that members of government would consider their phone calls to be private,” he says. Snowden finds it ironic that while Canadians can’t have that expectation … their leaders think they do. Doctors for Protection from Guns want to make sure their voices are heard in the Canadian debate over revamping firearms legislation, producer PerlitaStroh writes. 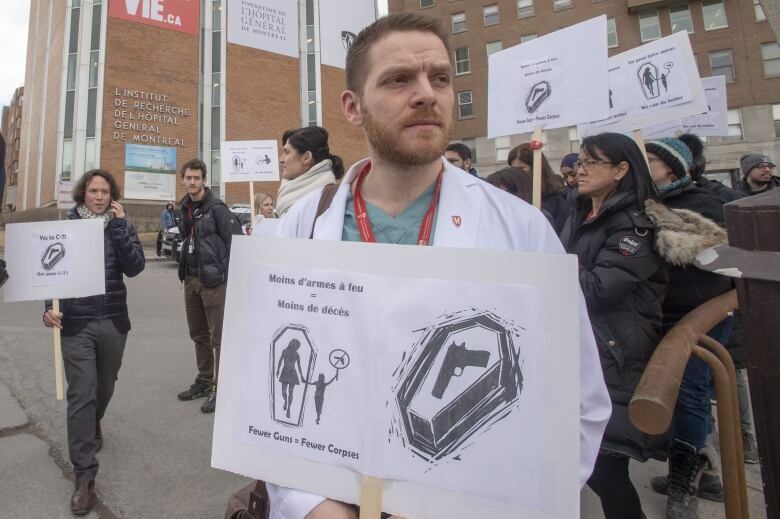 Hundreds of doctors across Canada are rallying today for stronger gun laws. They are urging the government to pass Bill-C71, which among other things would enhance background checks on people who want to buy guns and force retailers keep a record of firearms sales and inventories. The doctors are also pushing the government to amend gun laws and institute a ban on handguns and assault rifles for private citizens. Although gun violence is usually associated most strongly with the U.S., Canadian doctors say it has become a growing issue here. In fact, firearm-related violent crime has risen 42 per cent in Canada since 2013. In Toronto alone, there were 428 shooting incidents in 2018, nearly two and a half times the number that occurred in 2014. Doctors are hoping that by sharing their stories of treating gun injuries, it will influence the government to make changes to firearms legislation that they say will save lives. Not everyone agrees with them. People in the medical community responded by founding Doctors for Protection from Guns, the group organizing the rally today. Doctors are rallying in 13 major Canadian cities on this issue today, including in Toronto, Calgary and Vancouver. Watch coverage of the rallies tonight on The National, and hear from Canadian doctors about their experiences with gun trauma. For whom the bellman no longer toils. – Melanie Joly, the minister of Tourism, Official Languages and La Francophonie, on the federal Liberals’ message to young women, following last night’s expulsion of Jody Wilson-Raybould and Jane Philpott from caucus. All of them people who are now dead.